Here’s the beginning of a blog post by Seth Godin with every occurrence of the word “organization” replaced by the word “conference” and the word “traditional” added to the first sentence. I think it still works, don’t you? As a [traditional] conference succeeds, it gets bigger. As it gets bigger, the average amount of passion and initiative of the conference goes down (more people gets you closer to average, which is another word for mediocre). More people requires more formal communication, simple instructions to ensure consistent execution. It gets more and more difficult to say, “use your best judgment” and be able to count on the outcome. Larger still means more bureaucracy, more people who manage and push for conformity, as opposed to do something new. Success brings with it the fear of blowing it. With more to lose, there’s more pressure not to lose it. Mix all these things together and you discover that going forward, each decision pushes the conference toward do-ability, reliability, risk-proofing and safety. Judging by their favorable evaluations, conferences that use the Conferences That Work format are highly successful. Yet they don’t grow significantly bigger, even though some of them have been held for years. Participants discover that effective intimate learning and connection that occurs requires a small event, and the maximum number of attendees is capped to ensure that the attractive conference environment isn’t lost by the consequences Seth describes. Last week I spoke to a veteran of large medical conferences who bemoaned the time she had wasted attending such events. She told me that the talks were invariably on already-published work, with people presenting for status or tenure reasons. Apart from the schwag and meeting a few old friends, she did not enjoy or find her attendance productive and was looking forward to a much more rewarding experience from the small conference I was planning for her group. What do you think? What redeeming factors make larger conferences better? Are these factors more important than the learning and connection successes that smaller conferences provide? 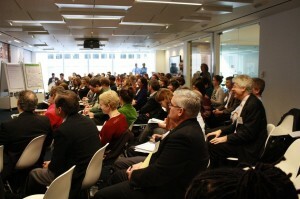 On Wednesday, I walked into our boardroom at USGBC for our Green Building & Human Health Summit and I got goose bumps. As a devotee of Conferences That Work, one of my greatest challenges and pleasures is creating “just-in-time” process that meets the evolving needs of an event. Here’s a great example of how creative process was used to support the building of a movement at a conference. 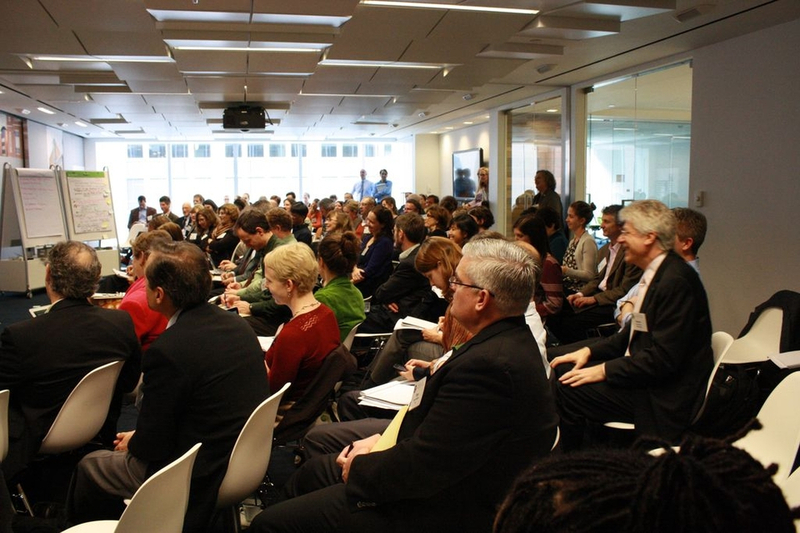 Last week I was invited to consult on a two day, one hundred participant “turning-point” summit for the US Green Building Council (USGBC) in Washington, DC. Good process was vital, because a much wider range of organizations had been brought together than at previous USGBC events in order to explore a major long-term expansion of the green building movement. The summit was designed around a set of “shirtsleeve sessions”, where participants—after some short stimulating talks by expert “igniters”—divided into small groups to discuss three principle goals and formulate key strategies to address them. At a working group meeting at the end of the first day we had to decide how best to use thirty minutes that had been scheduled the following morning before the next shirtsleeve session. Someone proposed that we ask participants to share their answers to the question “What would success look like?” either from a personal or group perspective. The working group liked this idea, whereupon I suggested that answers be written on large sticky notes and displayed in a central location during the day. This allowed the group to view all the responses during breaks, rather than hearing just a few of them in the limited time available. The participants liked this activity, and soon a large grid of answers had been posted on a lobby wall right outside the breakout rooms, available for all to see. A “trail map” for the future. During the event, one participant said the meeting was more like a base camp than a summit. The metaphor stuck, and we started thinking of our journey as an expedition that needs a trail map to be successful. Inclusiveness. As the organization adjusted to working with a broader community of interest, issues of how to expand connections and social equity are important. Public relations and messaging. Successfully framing USGBC’s messages so that people understand that choices they make in their home and business can enhance their family’s and employees’ health is key. Standards. How do we emphasize and integrate knowledge and actions that improve well-being into existing standards? Definition and valuation of health and well-being. 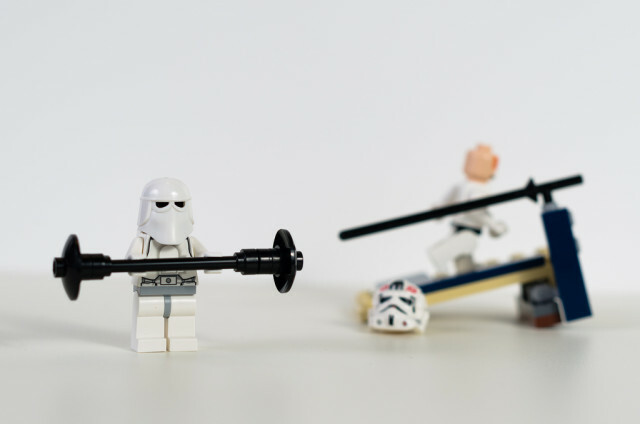 We need to define and value health and well-being in USGBC’s and the related community’s mission. Research. What do we know, what are the research gaps, and how can we obtain funding to fill them? Paradigm shift. How do we get to a place where the green built environment is synonymous with health? Providing summary feedback at the close of a “turning point” event is very important. Participants have put a lot of time and effort into their work together, and they need to feel heard and receive assurance that what has happened will lead to significant next steps. At the USGBC summit, the complexity of the issues and constituencies involved, plus the reality that not all key players were able to attend, meant that detailed trail map outcomes would take some time to formulate. The sharing of participant’s seven categories of success was, therefore, an important way for participants to feel heard and know that others shared their goals and aspirations. As a result, this simple focused sharing of major insights and common agreements became a key ingredient for “building a movement”, a phrase that was heard frequently during the high-energy closing session of the summit. After offering a next step communications plan and an impassioned closing speech by Rick Fedrizzi, USGBC’s CEO, many participants shared that they thought the summit would be looked back on as a milestone moment in the development of green building.